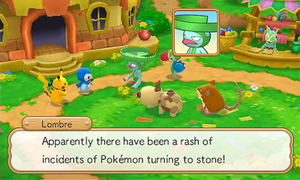 Pokémon Super Mystery Dungeon (ポケモン超不思議のダンジョン) is a game continuing the legacy of the exciting Pokémon Mystery Dungeon video games series which up until this release had sold more than 13 million copies worldwide. The game was released in Japan for the suggested retail price of 4700yen while the North American price was suggested to be $39.99 USD. Players get to pick one of 20 Pokémon to become their partner. With the Pokémon the player chooses, they will head out on a quest to encounter all 720 Pokémon, including Legendary and Mythical Pokémon. 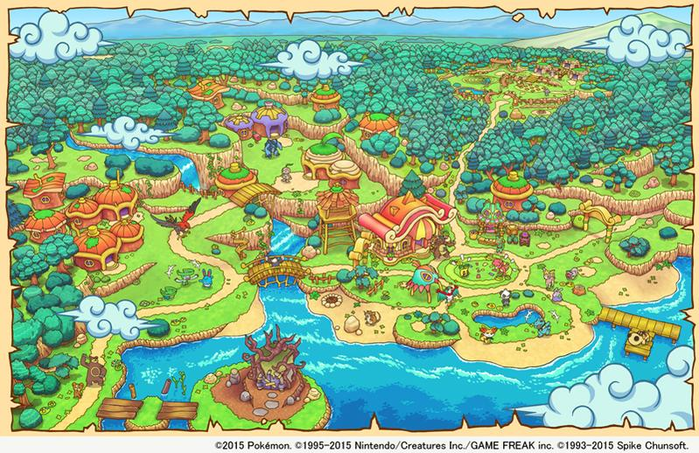 Players can set off on a grand adventure as they explore ever-changing Mystery Dungeons and connect with Pokémon to save the Pokémon world! A Nintendo Direct for Japan aired on May 31st, 2015. 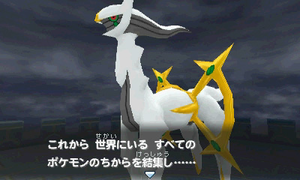 The broadcast revealed the first trailer and gameplay footage for the game. 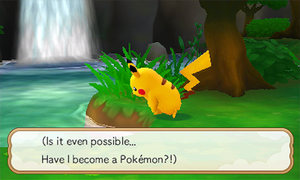 A Nintendo Direct Micro aired on June 1st, 2015 and the first English trailer and gameplay footage for Pokémon Super Mystery Dungeon was shown. The North American release date was revealed as Winter 2015. 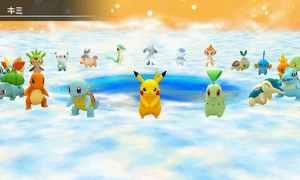 The player can choose their playable character and their partner Pokémon from a selection of 20 Pokémon. All 720 discovered Pokémon appear in this game, including Legendary and Mythical Pokémon. Battle alongside Legendary and Mythical Pokémon to save the world from a crisis in a tale of unprecedented scale. This page has been viewed 3814 times.